My husband and I are sitting here watching Survivor and I thought I would do a quick blog post! 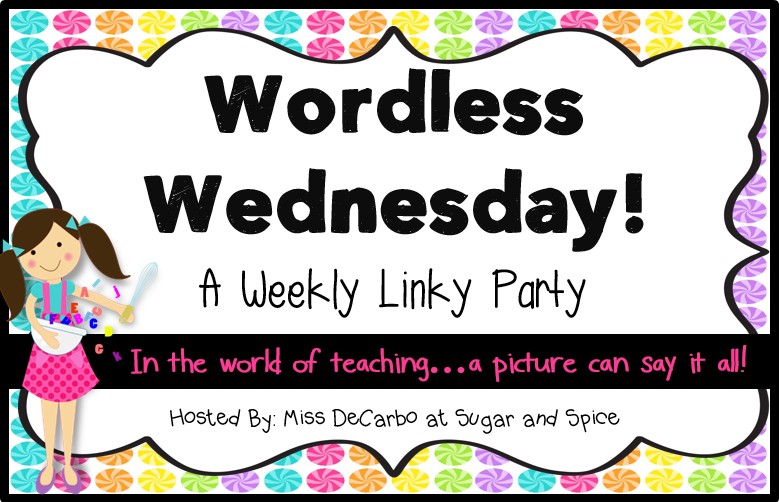 I'm linking up with Miss DeCarbo at Sugar and Spice for Wordless Wednesday! My picture is of a tv and my question is also on the picture! Don't forget to check out my Markdown Monday post, leave a comment, and you could win a free copy of my Pumpkin Activities Pack!